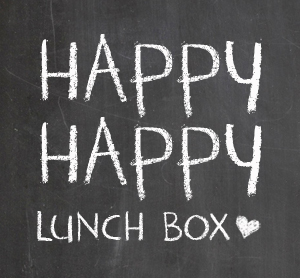 Hey everybody, it's Friday and I'm taking my turn for the Happy Happy Lunch Box Hop! Have you seen the hop posts? They've been full of such helpful, cute and clever ideas about lunch!! Today I have a non-food idea, because I pack lame lunches, but I do have some tricks up my sleeve when it comes to lunch notes. I know what you're thinking, 'putting and note in my kids lunch is NOT a new idea.' You're right, it really isn't, but here I've got some ideas on how to do notes in lunches a little differently. It all began when Lilac statrted kindergarten (obviously). I wanted to put notes in her lunch so at the beginning of the year I made like 15 or 20 different simple little silly notes that I would rotate through her lunch. It was a lot easier to make fun, cute notes when I did so ahead of time-- rather than in the morning rush out the door! Lilac didn't mind the repeats at all, in fact she liked to to see which one would end up in her lunch each day. Thursday- It buries its head in the sand. And finally, I came up with a quick clever way to make reusable notes!! I just laminated a few little squares of card stock and then wrote on them with a wet erase marker!! (Wet erase so it won't rub off in the lunch box-- these are like the old school markers your teachers used on the overhead projected.) You could get the same effect using contact paper or even clear packing tape over the cards. I have no idea if any of that is helpful to anyone. I hope it is, just for fresh ideas at least! If you'd like some actual good lunch advice please check out Michelle, Melissa, and Danzel's posts from the hop!! Happy reading and good luck making lunch! !